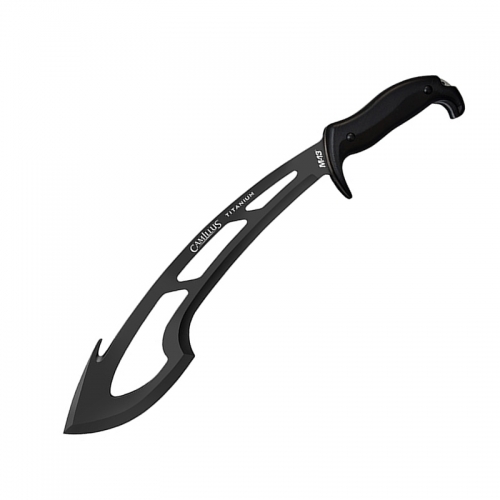 The Colombian Rescue Sawback Kukri was built for the essential tasks that need to be done when faced with a survival situation. 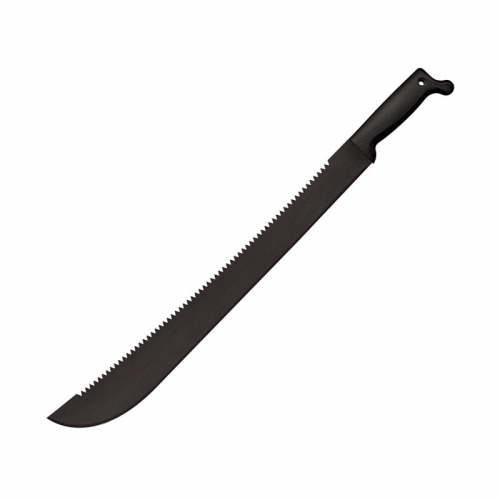 It has a massive, 14 1/2” full-tang stainless steel blade with a non-reflective black coating and powerful sawback serrations. 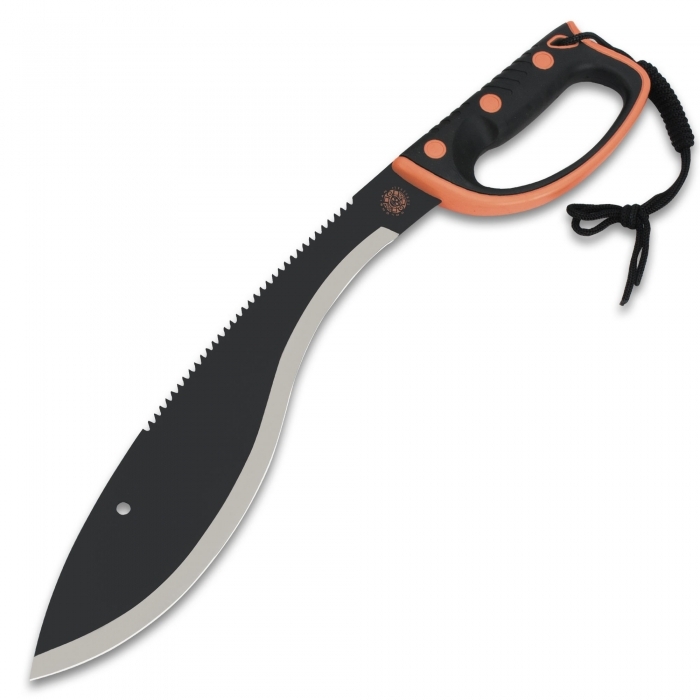 The rescue orange, rubberized injection-molded saber-style handle makes sure you have a comfortable and secure grip when you’re performing those heavy-duty tasks, assuring you complete control over the kukri. The 21″ overall kukri is housed in a tough nylon belt sheath and the handle features a looped cord wrist lanyard. 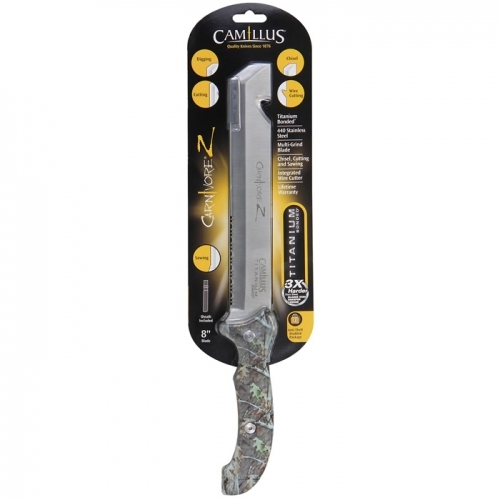 Make sure you include this massive beast in your bugout bag or emergency gear!